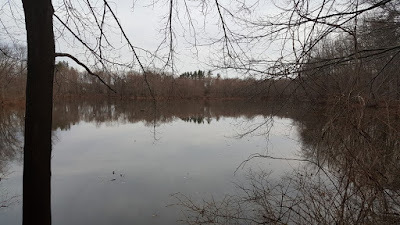 The weather was once again very warm, with a high in the upper 50's. 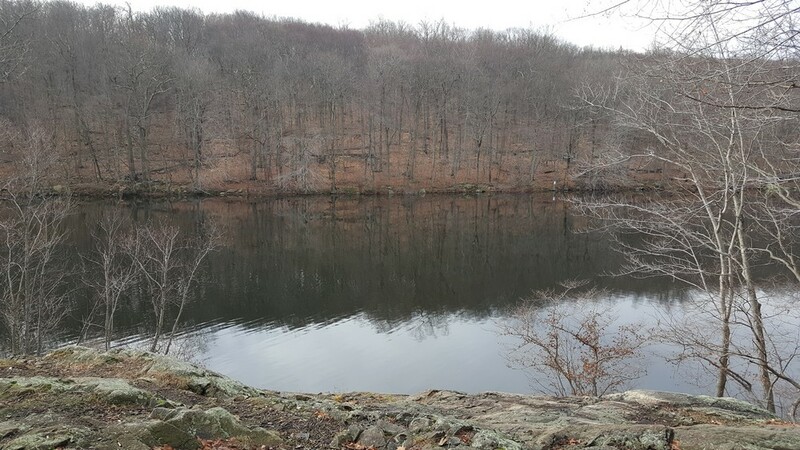 However it was damp and cloudy, so I figured this was a good day to complete the trails in this area since it lacks a good view. 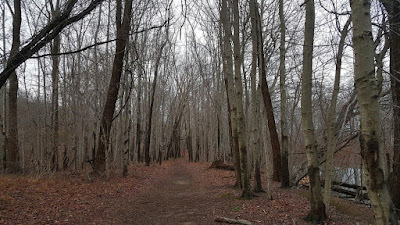 I had been here about a month earlier, and did not have a chance to complete all the trails in the area, so I decided to return to complete them all. Once again it was very quiet here; we encountered only one person the entire hike. 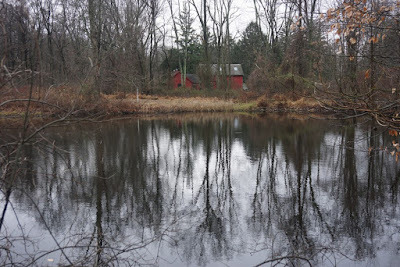 We parked in the small lot by the playground behind Rockleigh borough hall. We took the Hutcheon Trail a short distance to the Sneden-Haring-Lamont Trail, which gradually climbs up the mountain. At the top, we took the Lamont Rock Trail Briefly to the Brookside Trail, which descends along the side of the brook cascading down the mountain. We took this trail to the Sneden-Haring-Lamont Trail, taking the loop all the way back around and then towards Sneden Ice Pond. 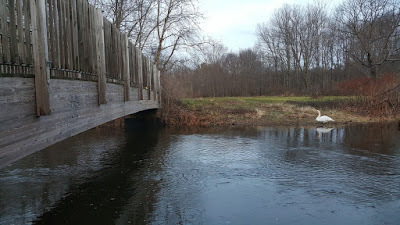 We took the loop around the pond, and then continued along the Sneden-Haring-Lamont Trail back to the entrance towards our car. 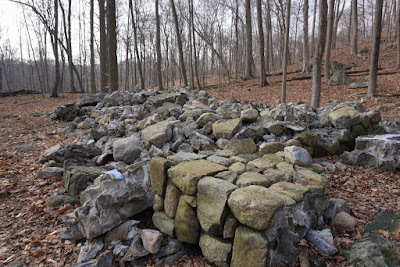 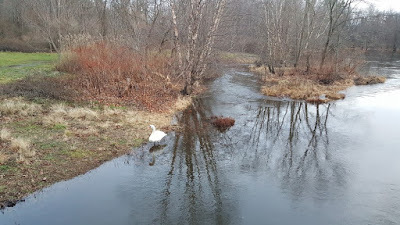 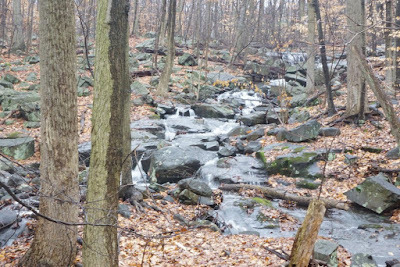 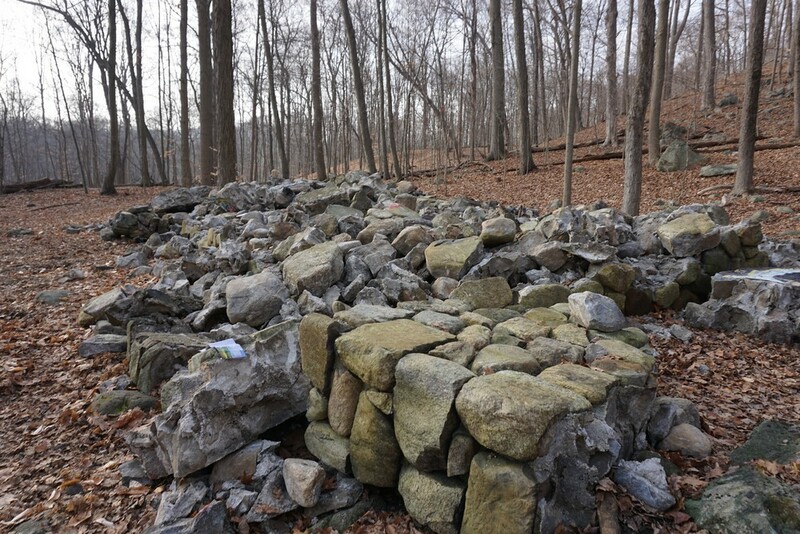 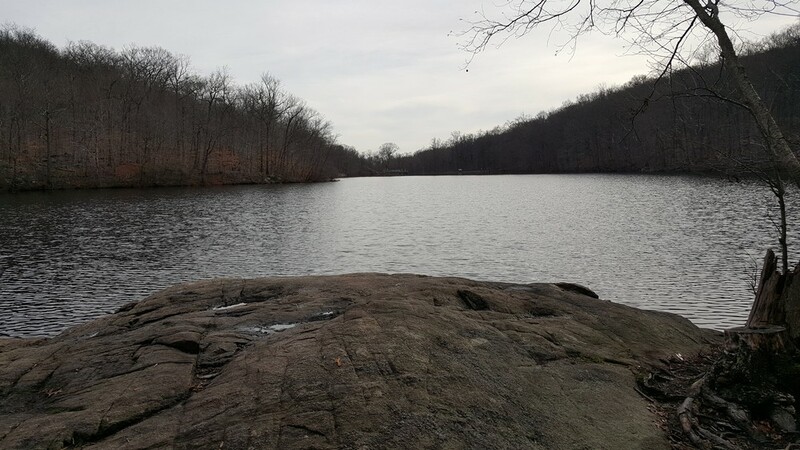 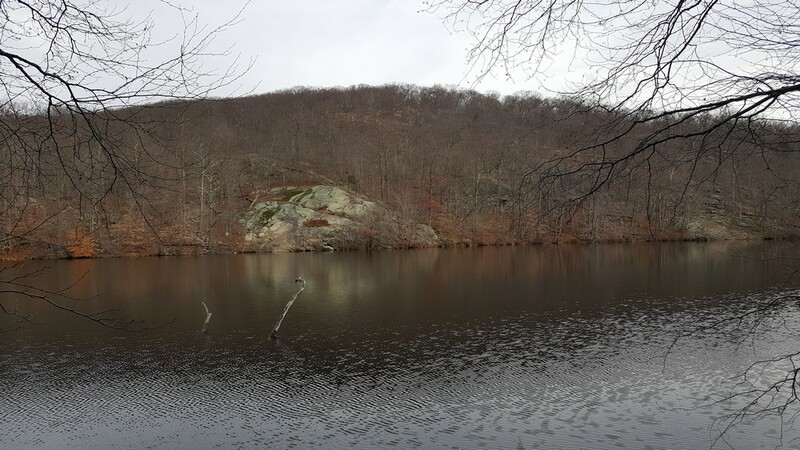 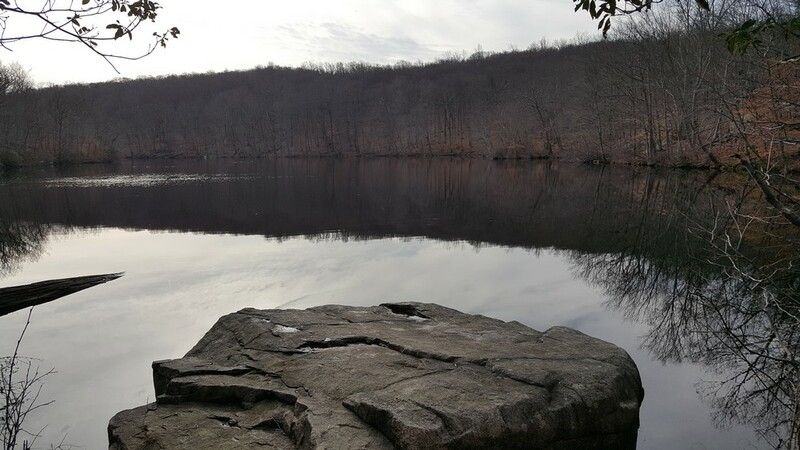 Although I was off from work, I had to go in to get something from from the office, which is right nearby the Ramapo Valley County Reservation. 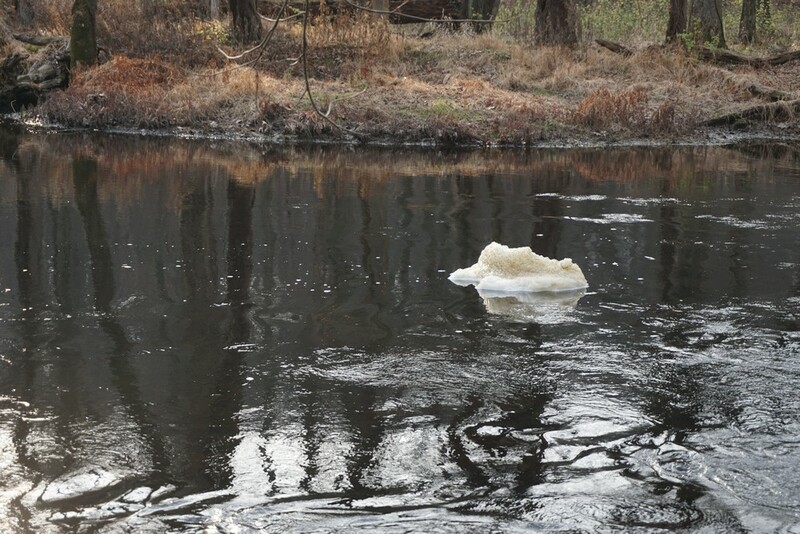 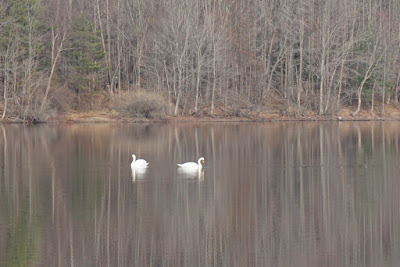 The temperature was once again unseasonably warm, in the mid-60's. This was yet another December hike in short sleeves. I was at this same area at the beginning of December, and found the new Reservoir Loop Trail. 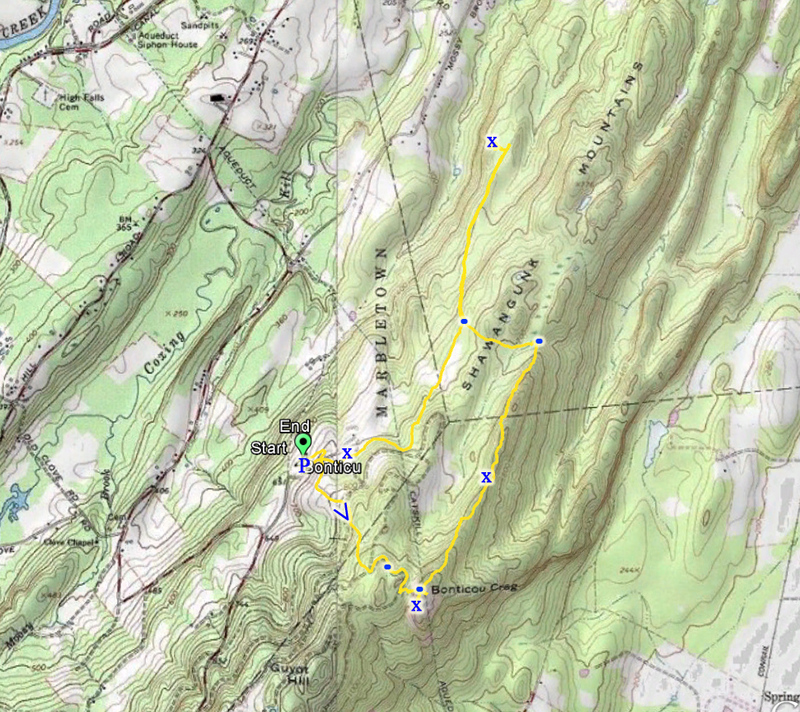 This wasn't on any of my maps, so I was curious where it would take me. It turns out that its a nice loop around the Macmillan Reservoir. 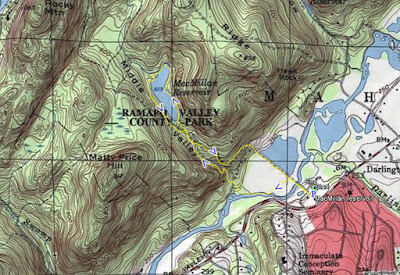 On the hiking kiosk at the parking area, it shows a newer map that has this trail labelled as the Reservoir Loop. 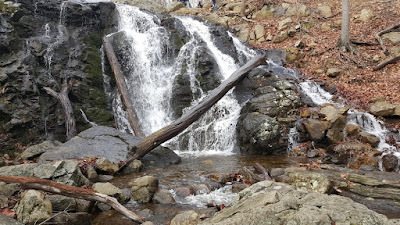 I parked at the main parking area, contented with the large groups of people until I reached the Schuber Trail, and then headed towards the waterfall. 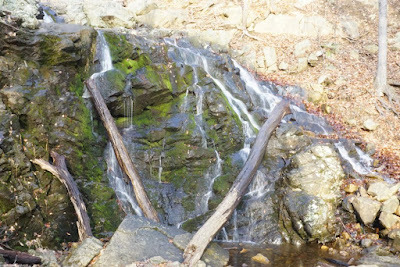 The waterfall was very strong due to all the recent rains. I continued along the Schuber trail to the intersection of the Silver Trail, and then continued to the Reservoir Loop trail, which I took around the reservoir. 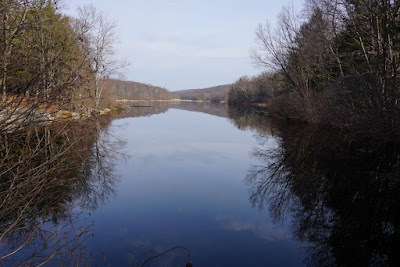 I then took the busy Silver Trail back to the MacMillan Reservoir, crossed over the bridge, and headed back to my car. 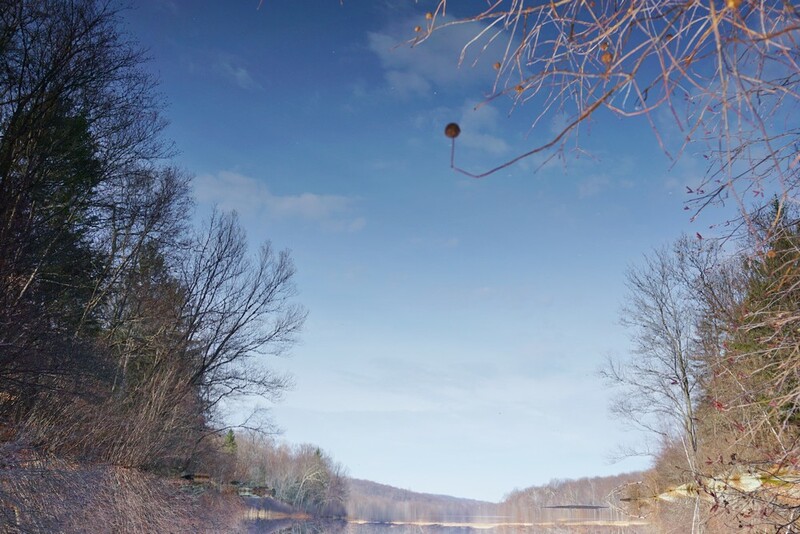 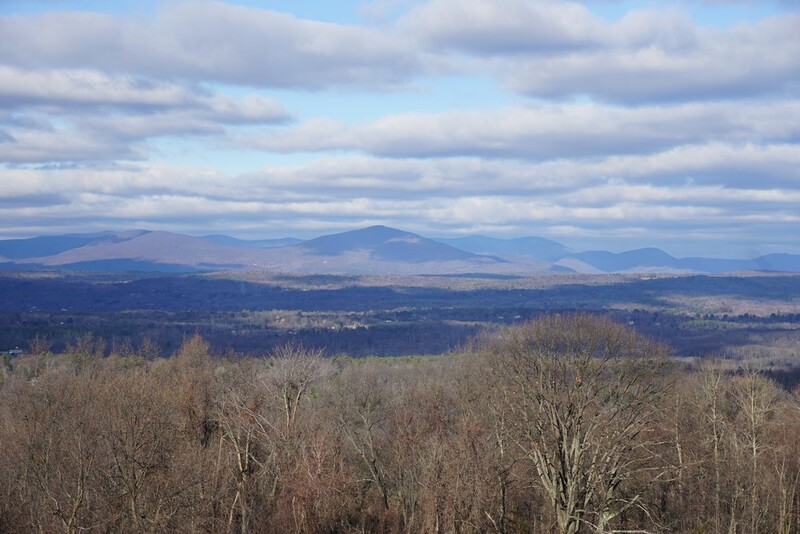 It was a beautiful, late December day, with temperatures peaking at 70 degrees! 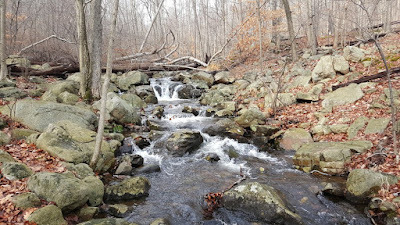 My office is very close to this location, so I took the opportunity to take this short walk instead of my lunch break. 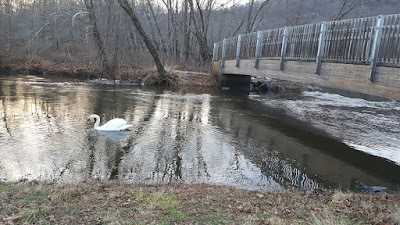 It was about 45 minutes to dusk, and I encountered several fisherman as well as a beautiful white swan in a close encounter. 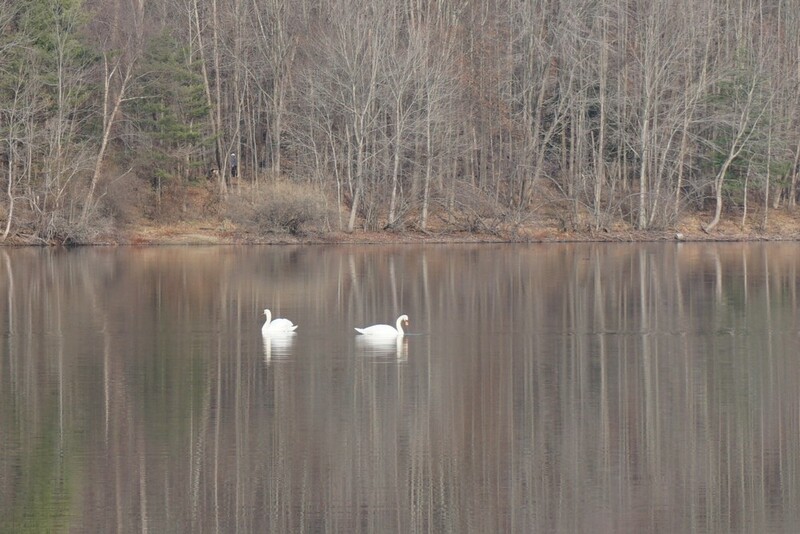 The pictures below were taken with my cell phone camera because that is all I had with me. 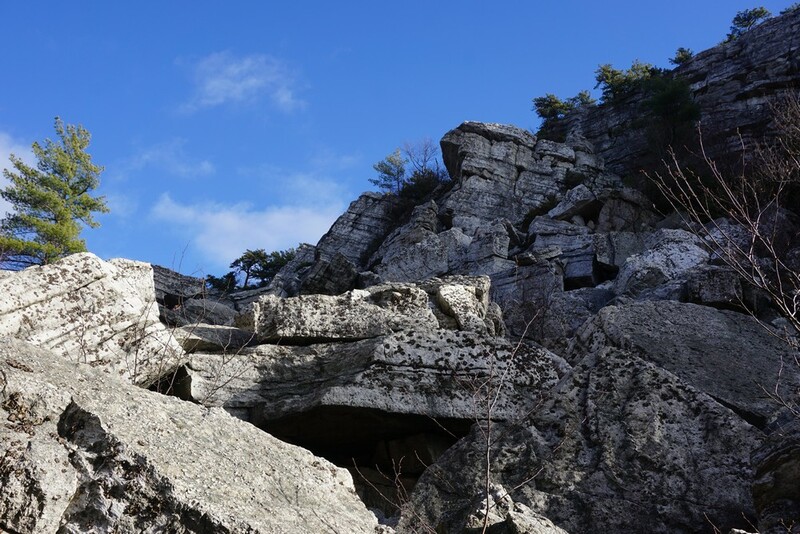 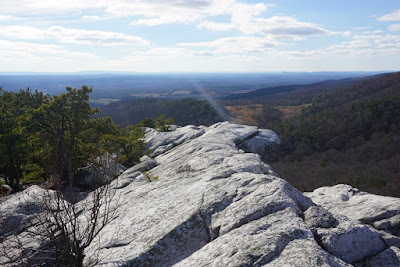 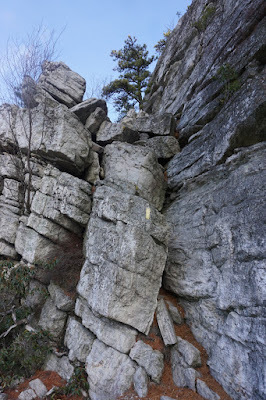 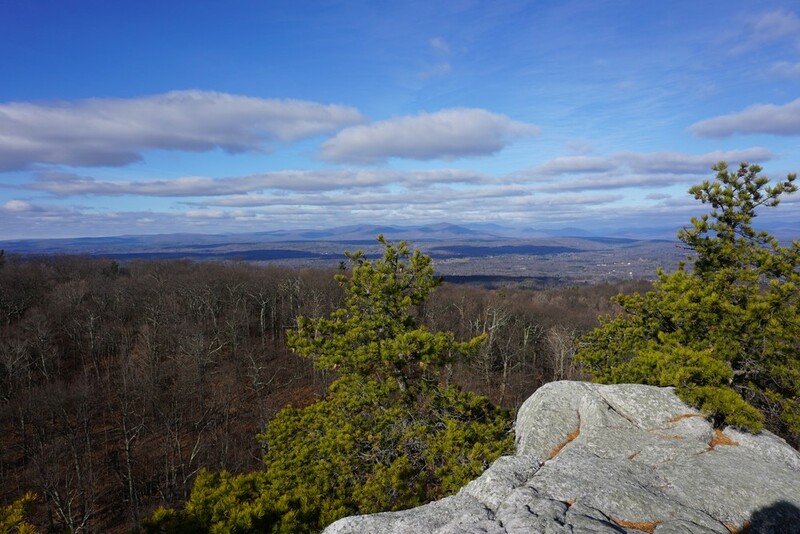 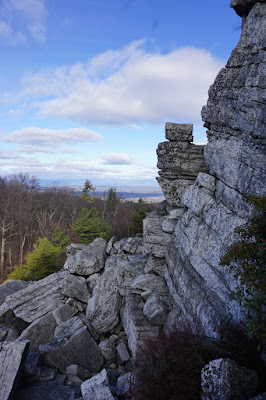 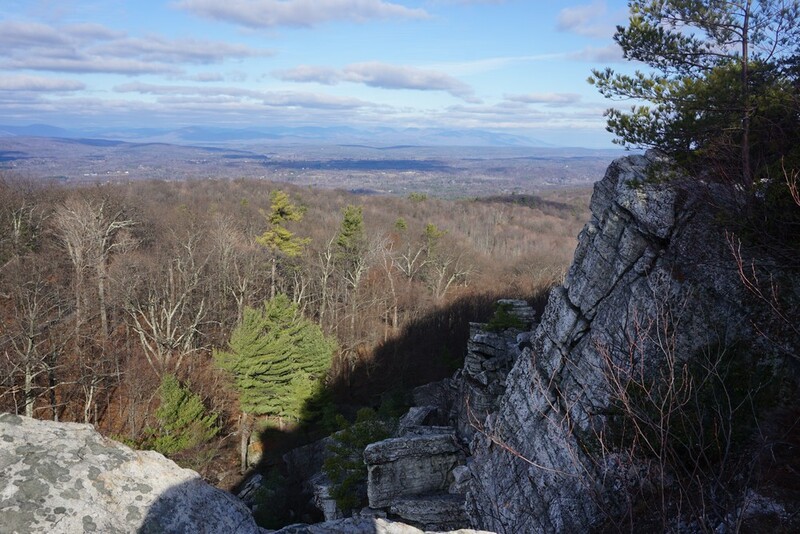 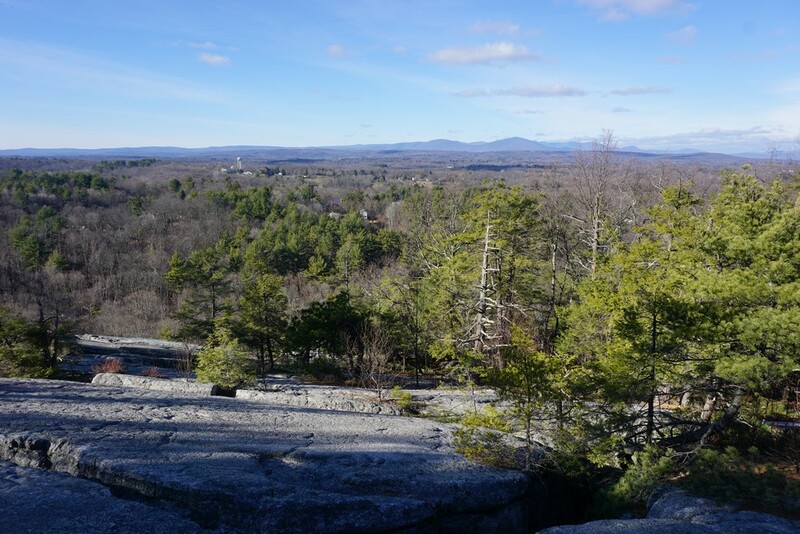 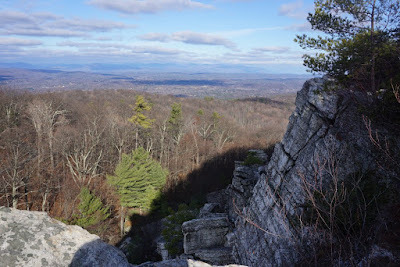 Mohonk is one of my favorite hiking locations in the area. 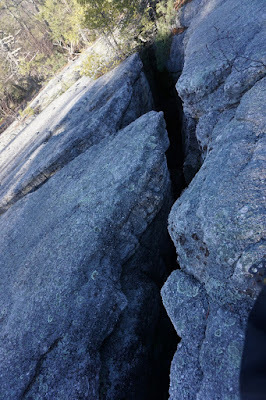 It has some of the best scrambles and most interesting rock formations. 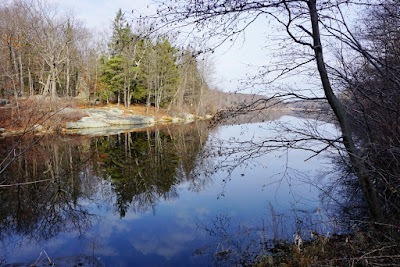 This was a bright and Sunday December day, a day before the official start of winter. The weather was warm for this time of year, though not quite as warm as the 60 degree weather we have been accustomed to for much of the fall. 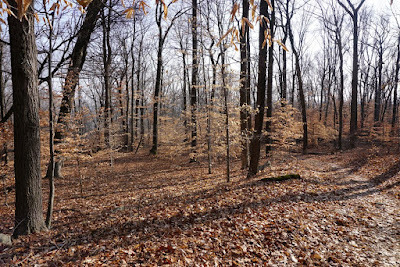 The area was very quiet, despite it being Sunday. 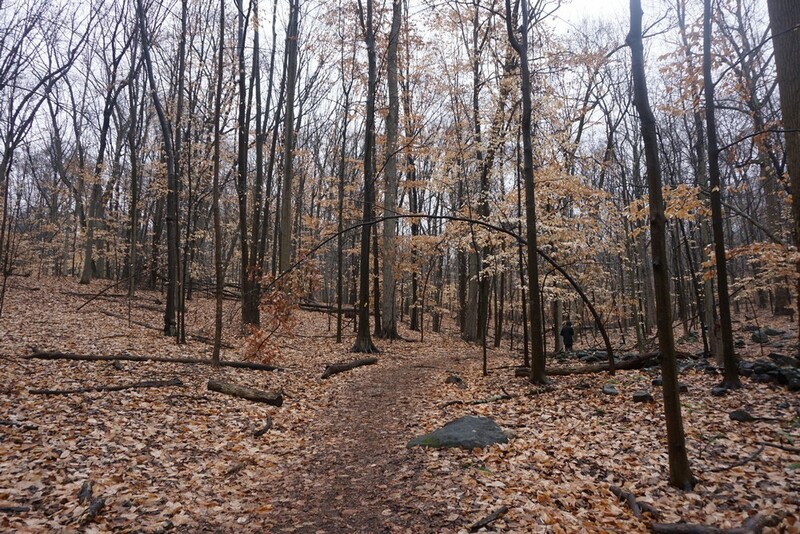 There was much room in the parking area and I hardly met anyone along the trails. 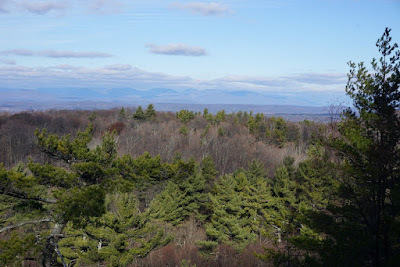 I parked at the Spring Farm parking area at Mohonk, which is slightly past the main entrance. 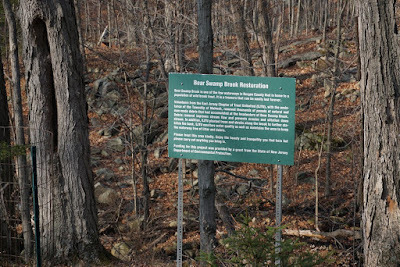 There is a $12 entrance fee to get in with a guard stationed at the parking lot. 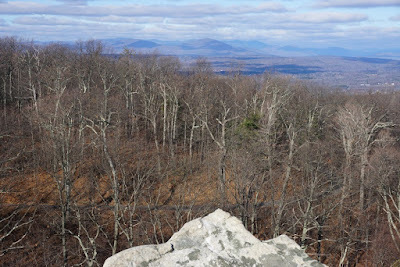 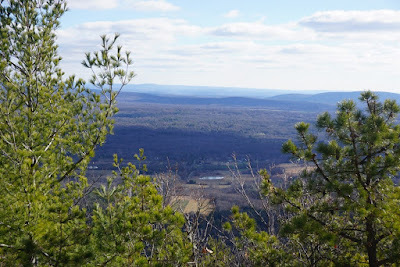 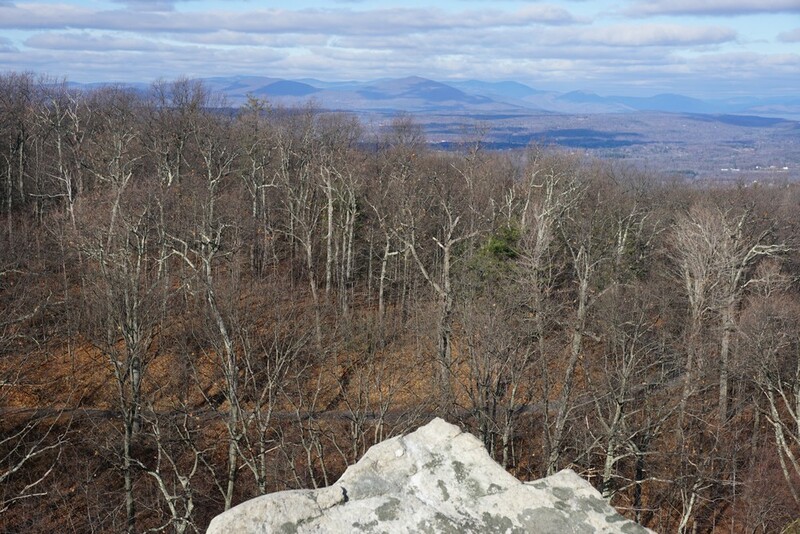 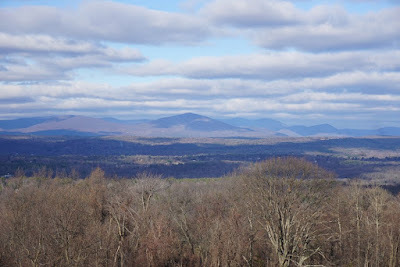 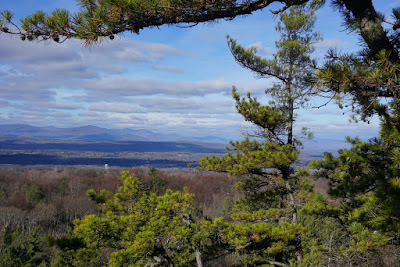 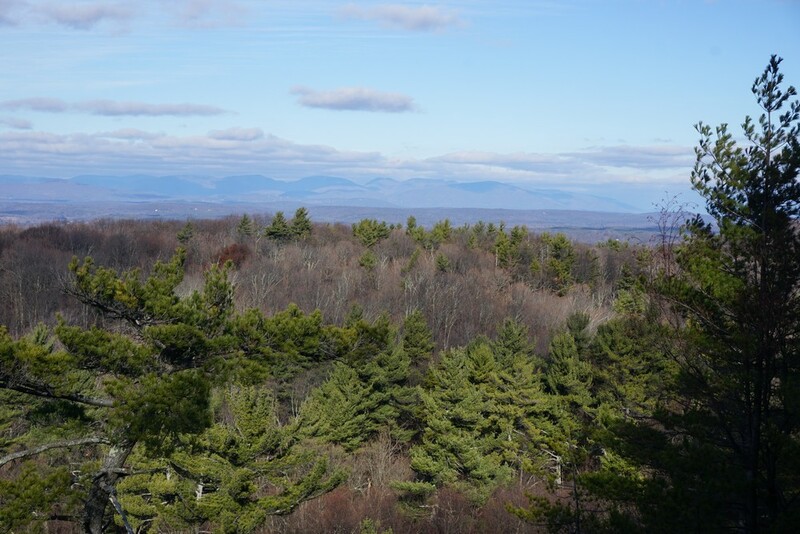 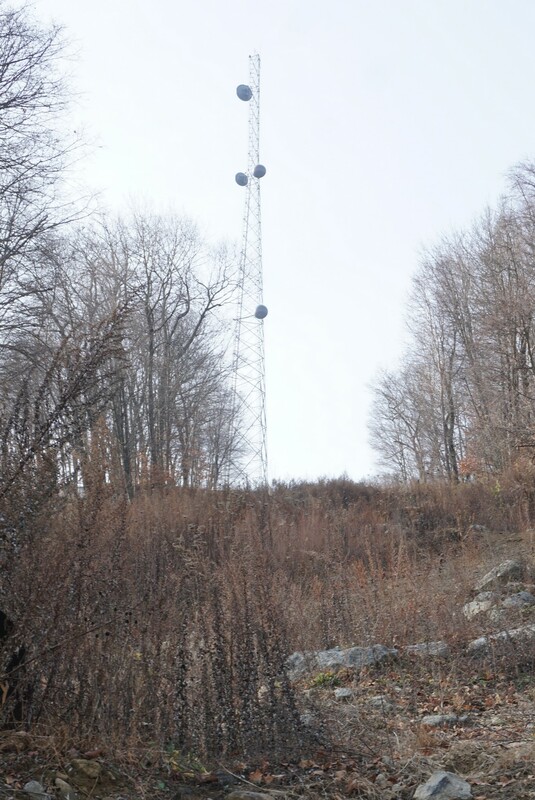 From the parking area, I walked up to the Million Dollar View, a northwestern-facing view of the Catskill Mountains with no obstructions in-between. I then headed up the Crag Trail to Bonticue Road, which I took to the Bonticou Ascent Path. 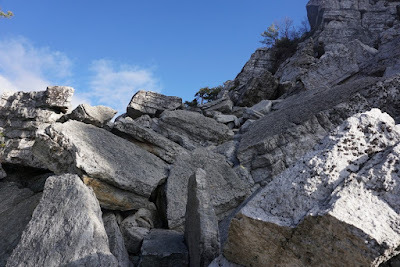 The Bonticou Ascent Path is a very steep and difficult trail, traversing large talus boulders in a very challenging scramble. Upon completing the ascent, you are afforded with an excellent view on both sides. 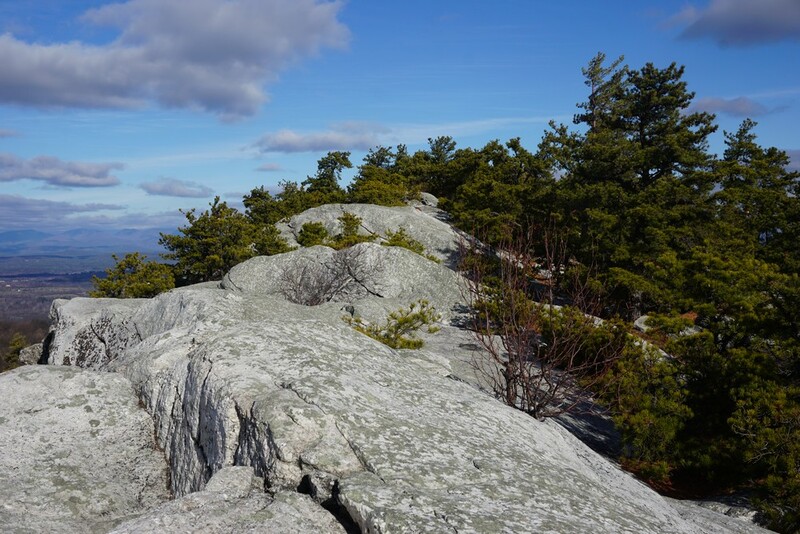 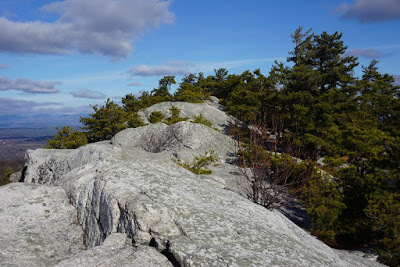 From the top of Bonticou Crag, I took the Northeast Trail northeast along the ridge to its end. 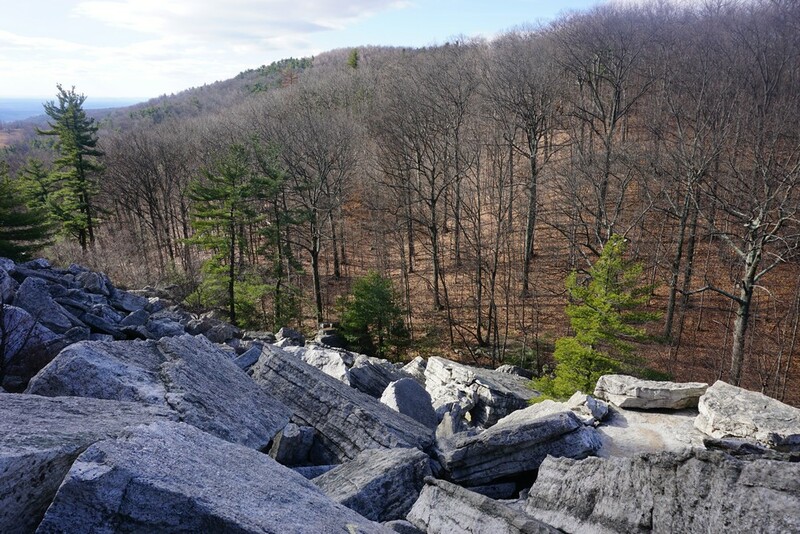 There are several good views along the way with a steep cliff along the western ridge flank. 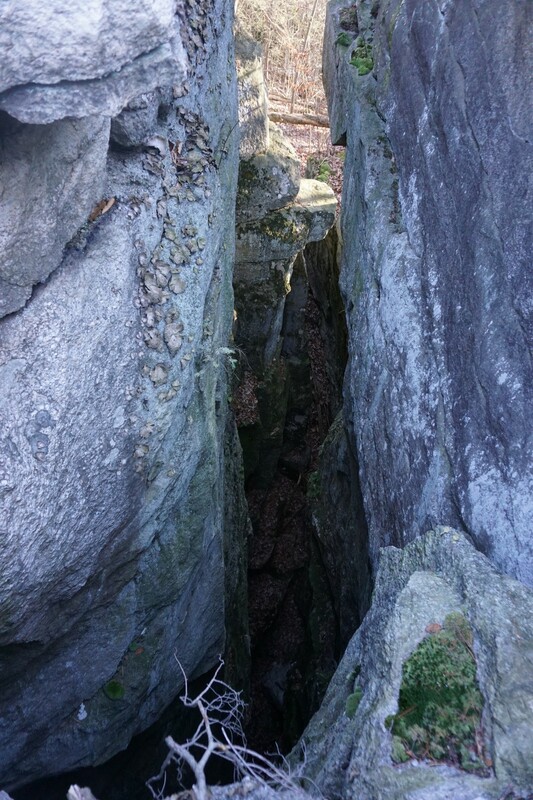 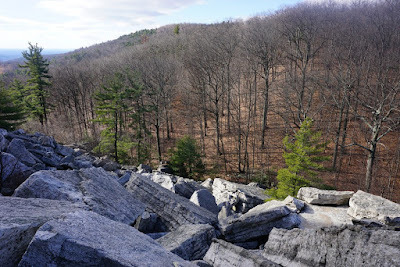 I then took the Table Rocks Trail northeast to the Table Rocks, which is another view with deep fissures in the rocks forming ice caves. 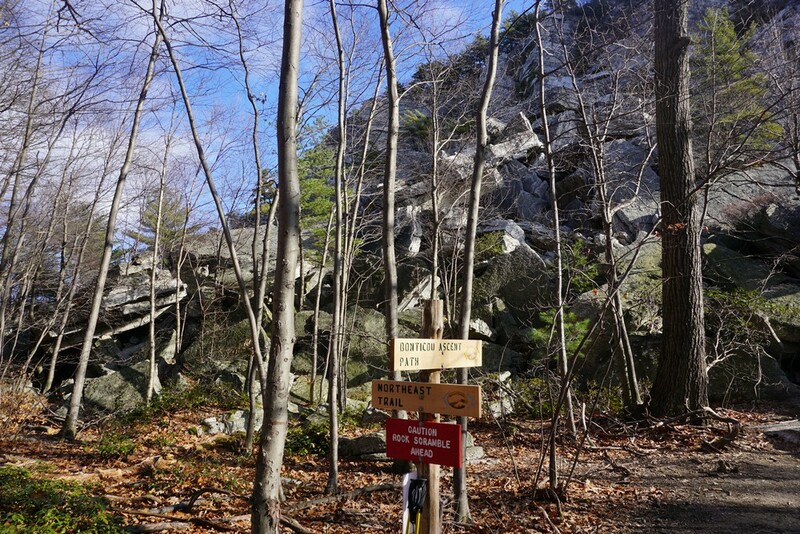 The Table Rocks Trail is a dead-end, which I turned back around on, and continued along all the way back to the parking area. This was a very Warm day for mid-December, reaching a high in the 60's. 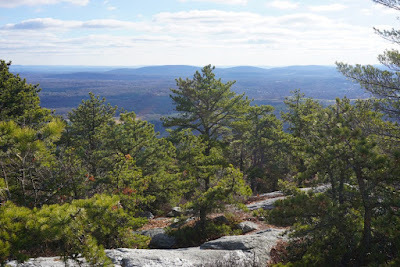 I had left in the morning with a light jacket, but as the hike progressed and the day warmed up, I took off the coat and hiked the rest in short sleeves. 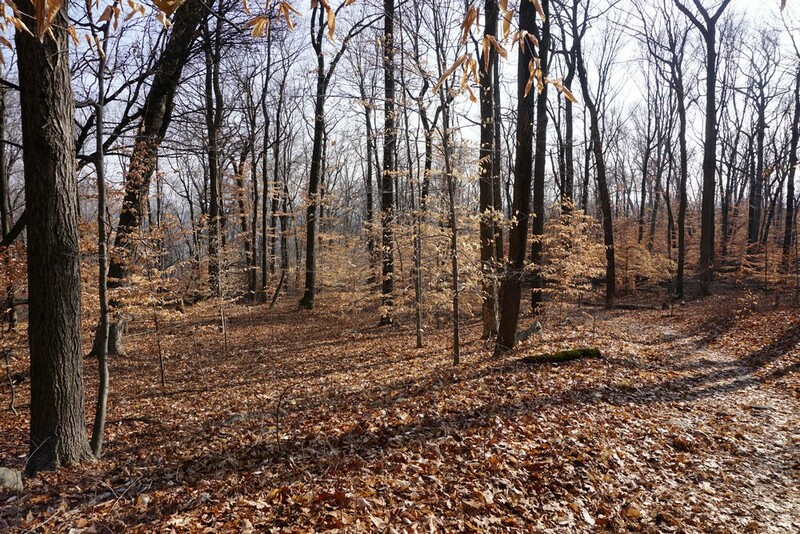 Overall the entire November and December had been exceptionally warm. 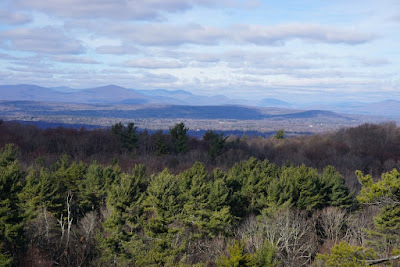 This area is very busy on weekends, especially nice weekends like this one. 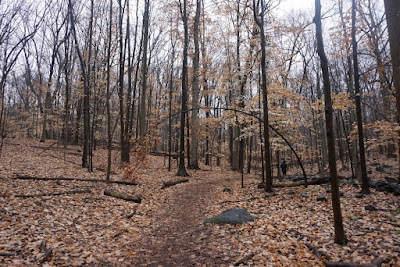 In fact, it was so busy that when I finished my hike and left, the large parking lot was entirely full! 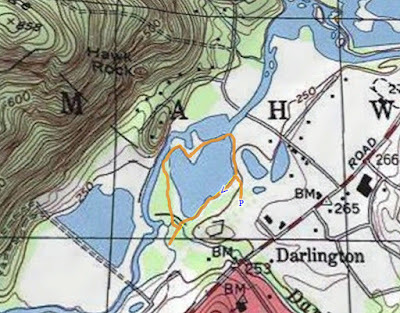 Though once you get past Macmillan Reservoir, the crowds entirely disappear and there is hardly a person in site! 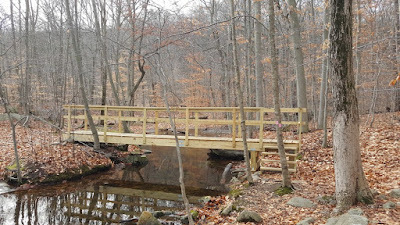 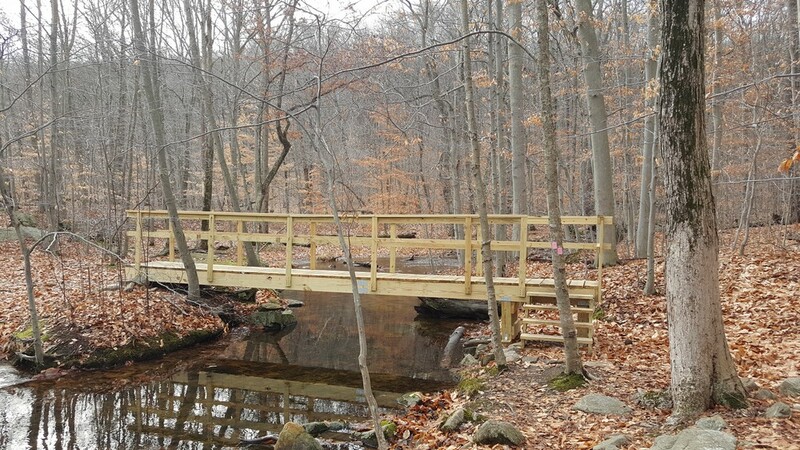 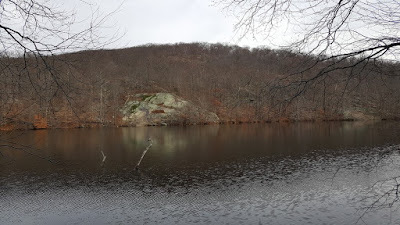 I started off at the main parking area, crossed the bridge going across the Ramapo River, and veered left to the beginning of the Schuber Trail. 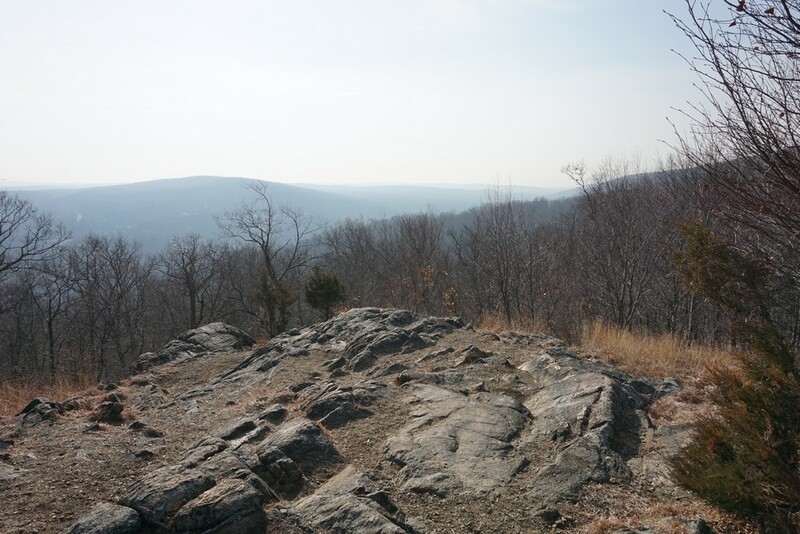 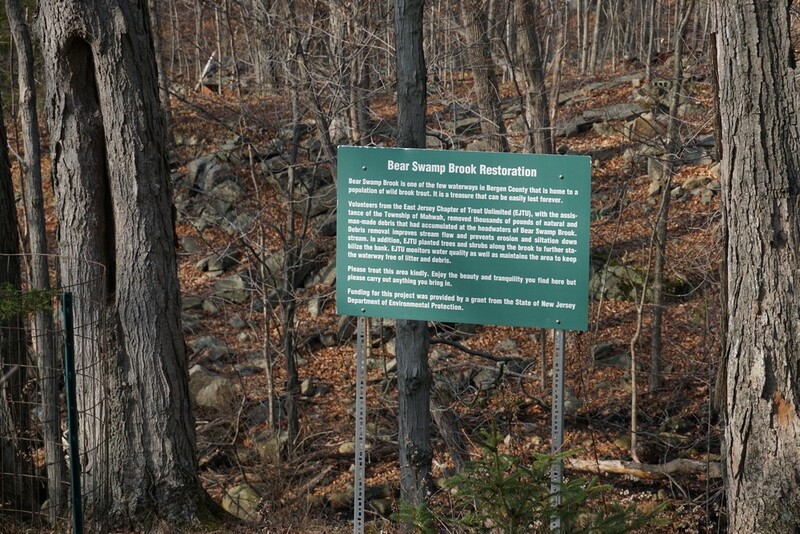 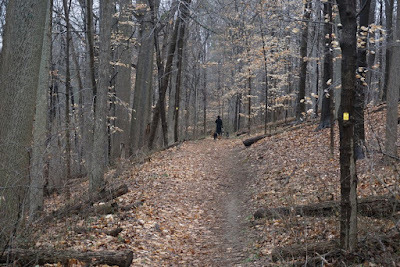 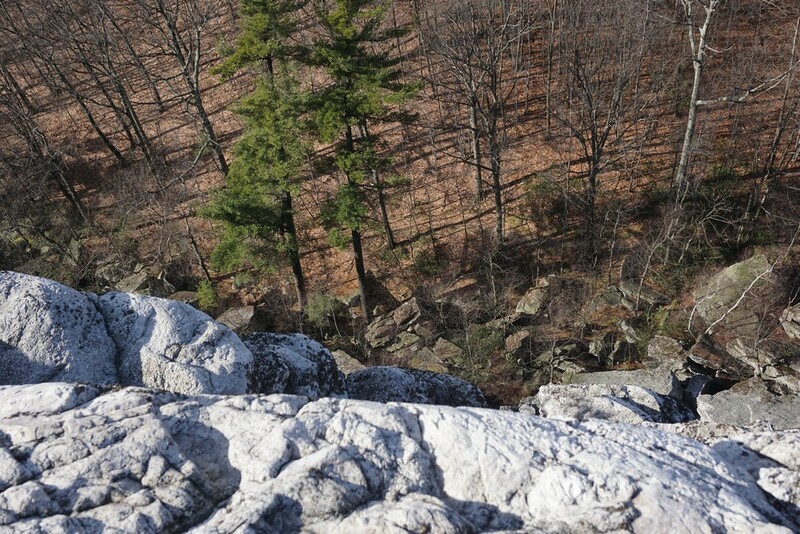 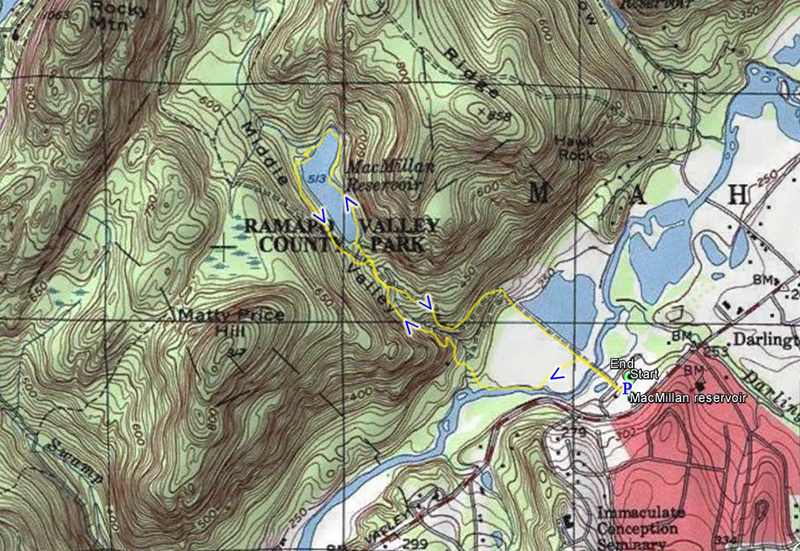 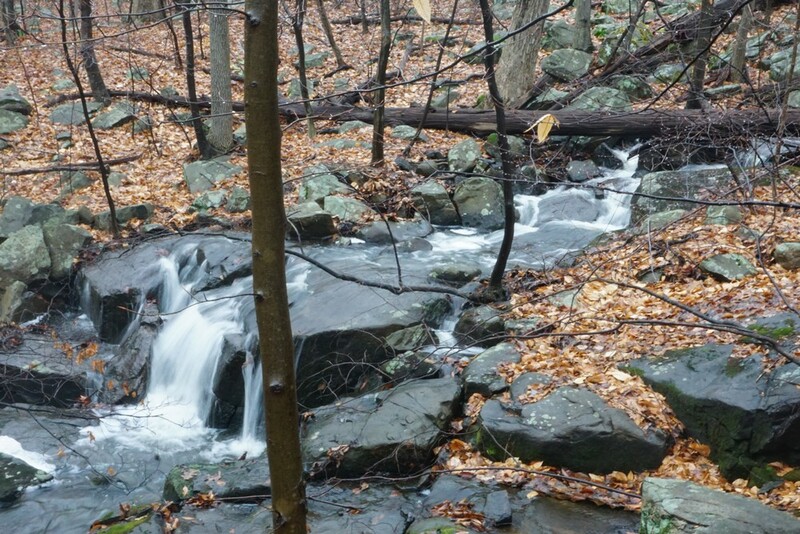 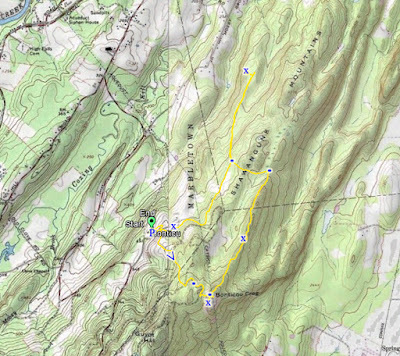 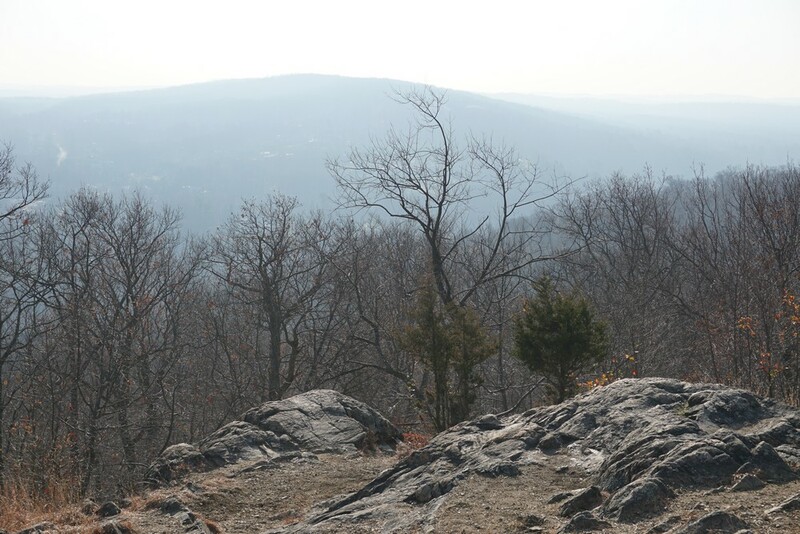 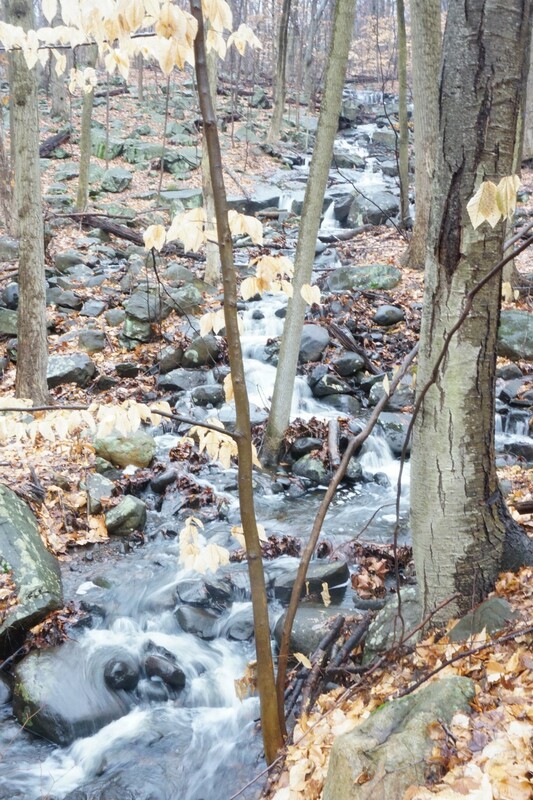 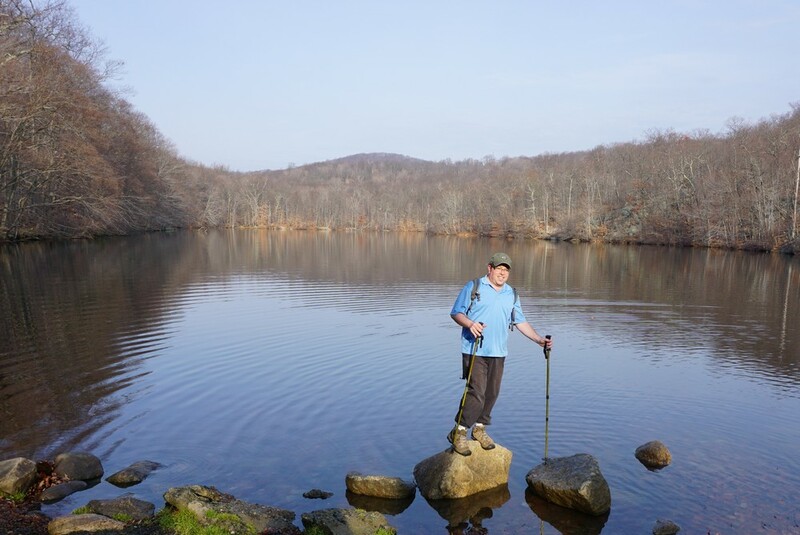 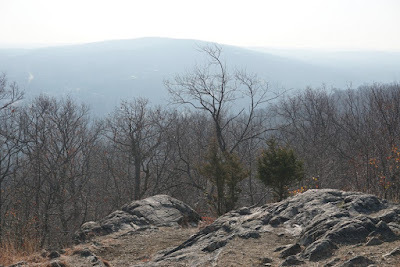 This trail starts off going alongside the Ramapo River, and then juts westerly towards the mountain. It cuts through the mountain by the stream, where there is a well-known waterfall. I veered off slightly to take some pictures of the waterfall (which did not come out too well), and then headed back on the trail. 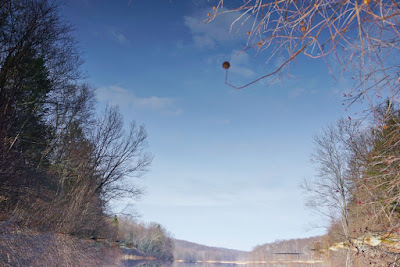 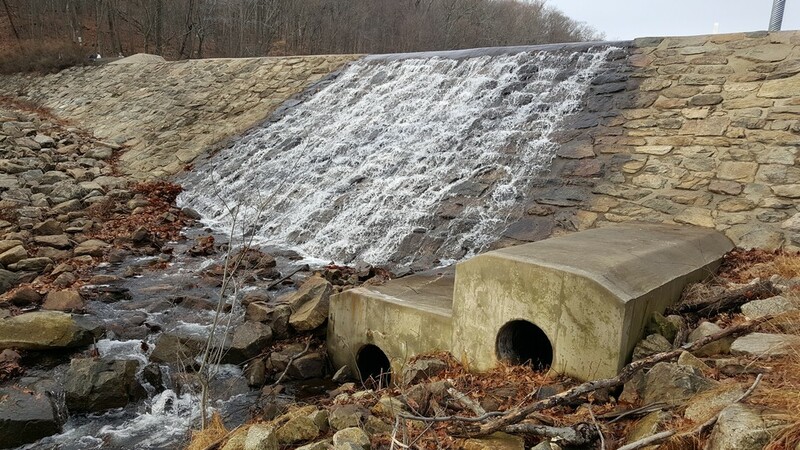 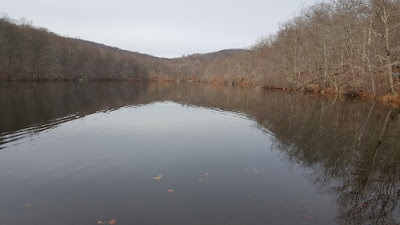 I continued along towards the reservoir, and then veered off slightly on the Macmillan Reservoir Loop Trail, and crossed over the dam. 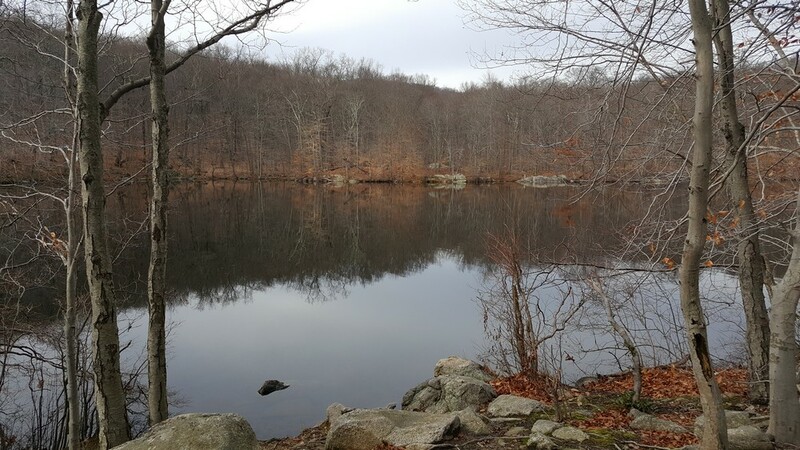 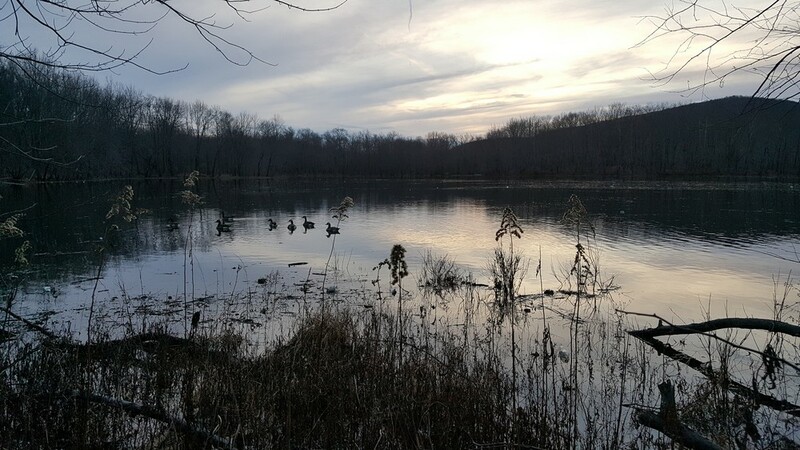 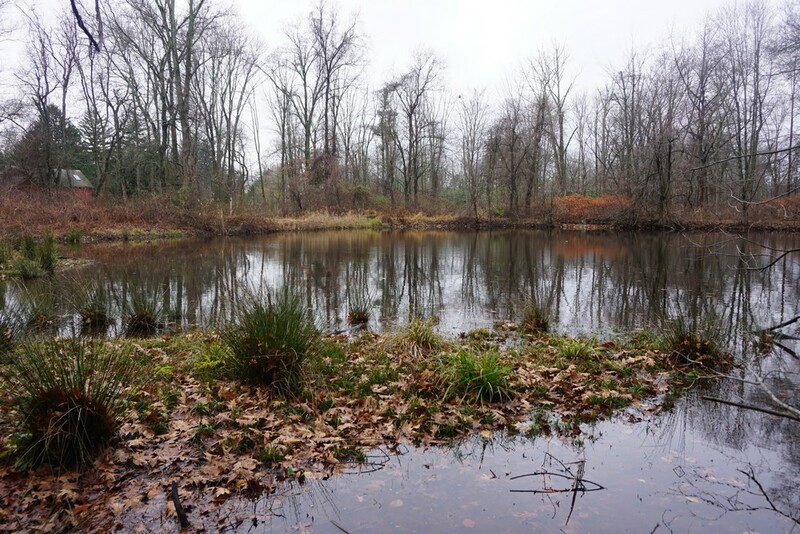 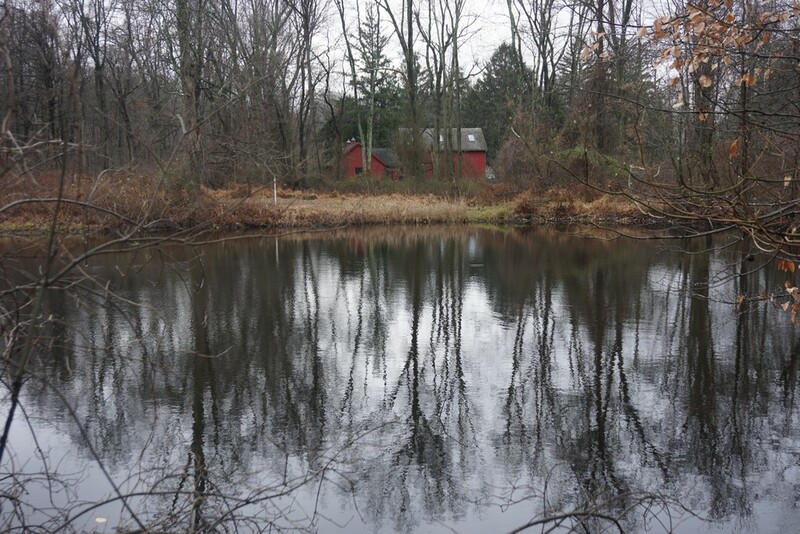 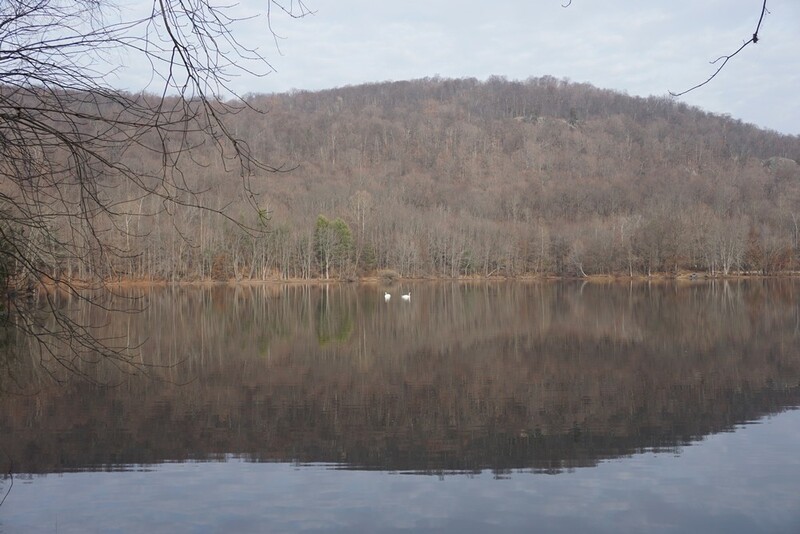 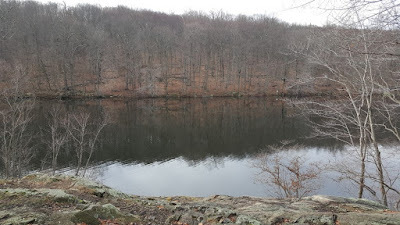 I continued back on the Schuber Trail past the reservoir to the Red-Silver Trail, which continued climbing and eventually took me to Bear Swamp Lake. 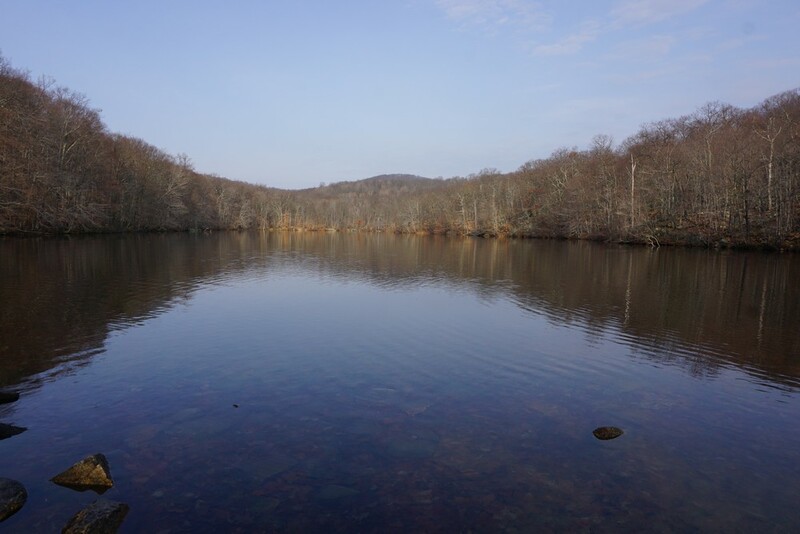 This is a scenic lake far off the beaten path. 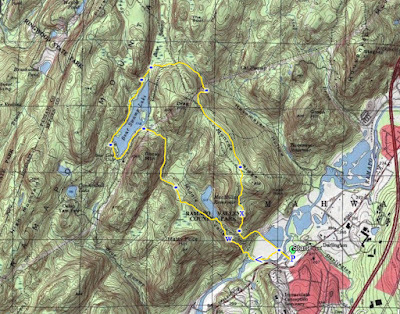 At this point, I went south along the Shore Trail, which goes around the lake, went over the bridge by the dam at the southern outlet of the lake, and then went north along the western rim of the lake. 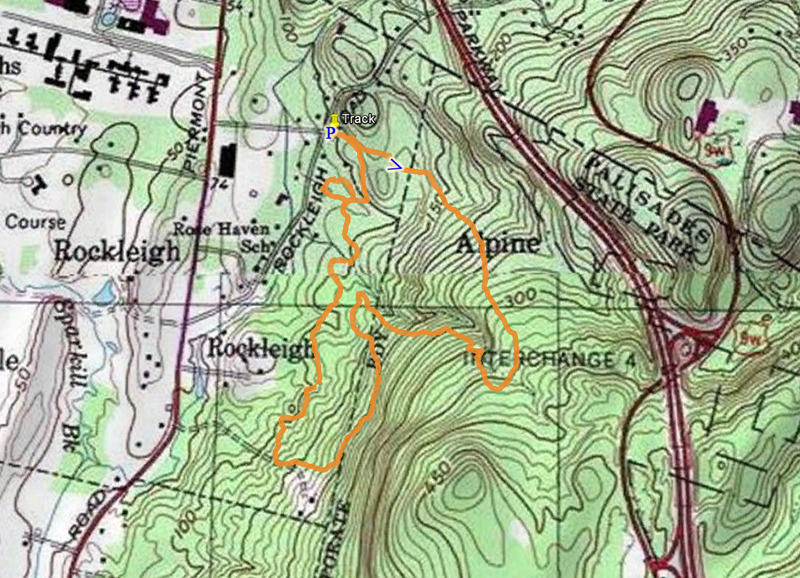 I took this to the Hoeferline Memorial Trail, and then to the Halifax Trail. 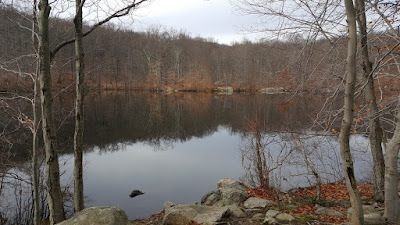 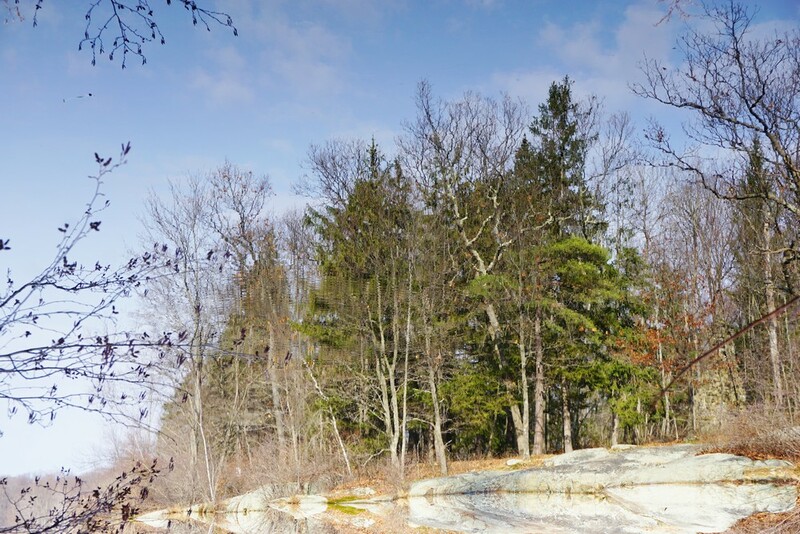 I took this trail to the White trail and then the Ridge Trail, where I veered off towards the view, and then continued along the trail back to Scarlet Oak Pond and back to the parking area.